A plumbago portrait attributed to the seventeenth century artist, David Paton. 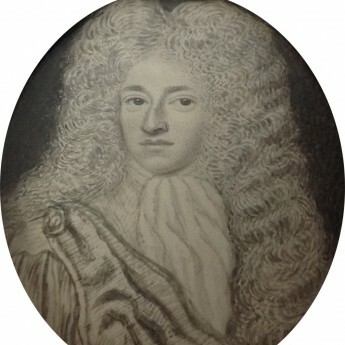 It depicts a young gentleman with a direct gaze in a full-bottomed wig wearing a white neck-cloth under a cloak fastened at the shoulder. Indian ink on vellum housed in a sympathetic modern frame with an inner gilt border. Excellent condition. 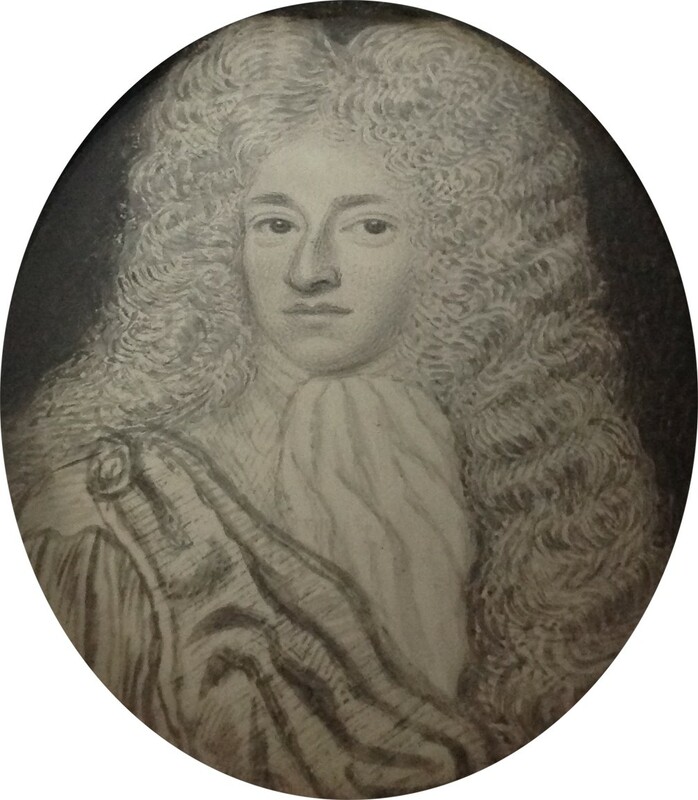 David Paton worked in Scotland in the latter part of the seventeenth century and is considered to be the finest of the Scottish miniaturists from that period. 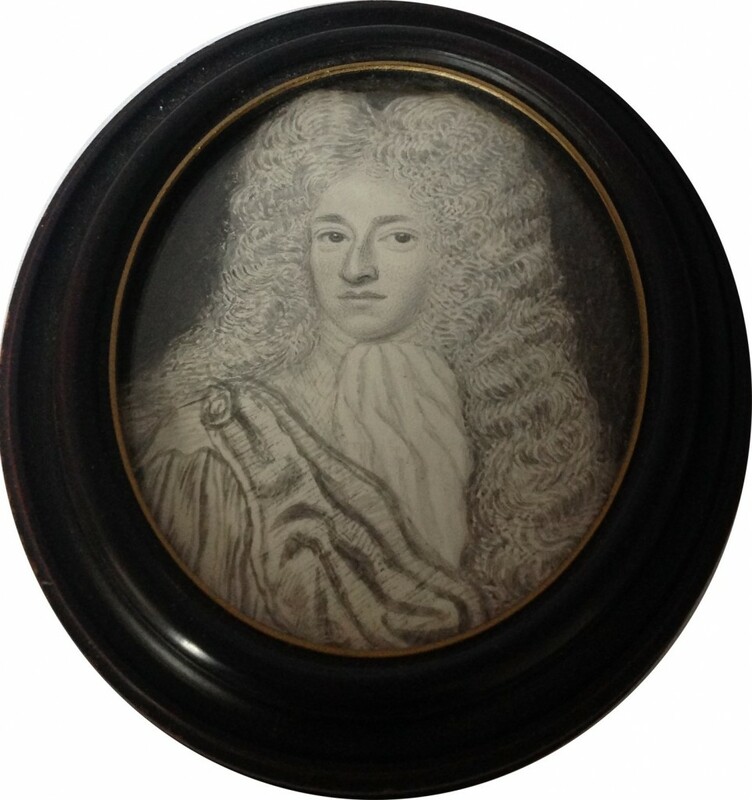 He specialised in small portraits drawn on vellum using Indian ink or graphite. Examples of his work can be seen in the V&A Museum and in the Scottish galleries.